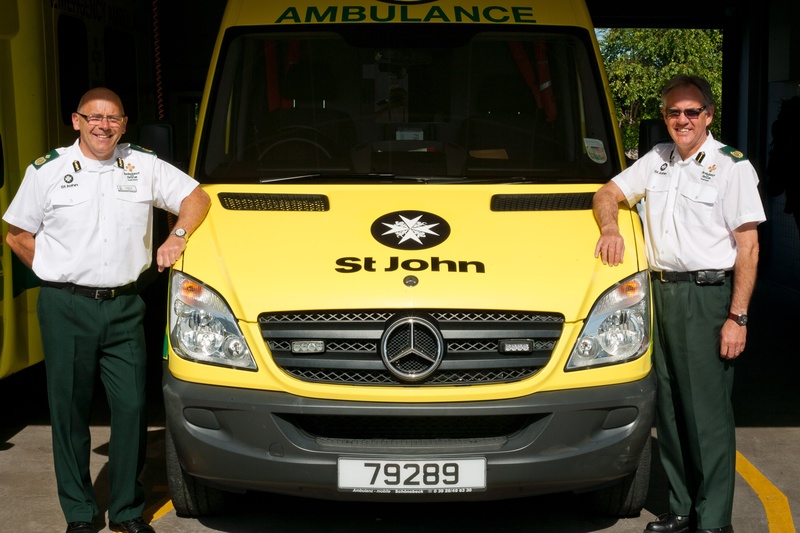 Temporary appointments have been announced to cover the maternity leave of two of the St John Ambulance & Rescue Service’s senior officers from the beginning of June. Ian Morellec will join St John as an Assistant Chief Officer and Malcolm Mechem will be temporarily promoted to Staff Officer. working alongside colleagues with whom I have built up professional relationships over many years and look forward to doing what I can as the Service goes through a significant period of change”. Malcolm has been a senior officer with St John for the last 6 years, during which he has held responsibility for operations, training and more recently the development of the St John Health Care Shop, the largest supplier of equipment for those being cared for in the community, in the Channel Islands. He said ” I am pleased to have been appointed as a Staff Officer for this temporary period of time to support the corporate management team at this time of change for St John. I am looking forward to the new challenges that will come with this position in the coming months”.